Assists with: all basic courses, Defensive Shotgun I, AT I/IA/II and others. NRA Certifications: Instructor in Home Firearm Safety, Pistol, and Personal Protection. Range Safety Officer. Training: KR Training- Defensive Pistol, Defensive Long Gun, Competition Rifle 2, AT2 Force on Force Scenarios, AT4 Pistol Skills Development, AT5 Force on Force Clinic, AT1A Low Light Shooting, Home Defense Tactics, Personal Tactics Skills. Tom Givens/Rangemaster - Combative Pistol 2 day course. Robert Vogel - Practical Pistol 2 day course. Ben Stoeger - Competition Pistol 2 day course. Tactical Arts Academy - Integrated Defensive Tactics, levels I, II, and III. Shivworks - Managing Unknown Contacts. Shivworks - Extreme Close Quarters Concepts. Lone Star Medics - Dynamic First Aid 8 hour course. Tom Givens/William Aprill/SouthNarc - Establishing a Dominance Paradigm. Paul Howe (CSAT) - Advanced Individual Tactics. Rangemaster Advanced Instructor. Rangemaster Instructor conference. 4th place in 2014 Polite Society competition. 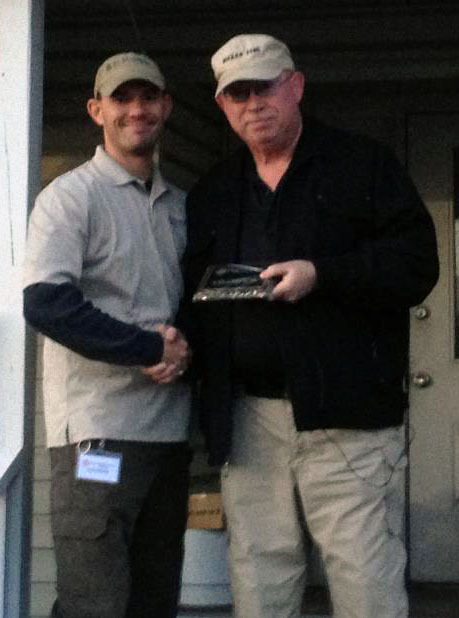 Won the 2013 Polite Society Tactical Conference live fire competition. Personal: Dave is a graduate of Texas A&M University, and is married with 2 children.